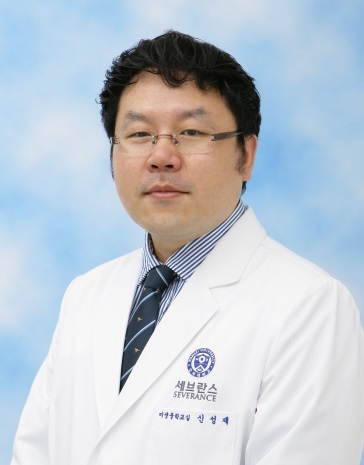 The Department of Microbiology of the Yonsei University College of Medicine, is investigating on identification and functional study of virulence determinants in Mycobacterium tuberculosis by comparative genome-based analysis. In addition, the department is focusing on the study of the mechanisms for the differentiation of immune cells by mycobacterial virulence factors to develop the effective control tools of M. tuberculosis infection. Virulence of Mycobacterium tuberculosis (Mtb) strains varies in animals and is considered a relevant factor, affecting the outcome of vaccine efficacy. Mtb strains may exhibit different levels of virulence according to their adaptation to different populations or geographical locations (1). In particular, the Mtb Beijing genotype is one of the most transmissible clades worldwide, exhibiting epidemiological dominance in East Asia. The Mtb K strain, which phylogenetically belongs to the Beijing genotype, was first isolated in 1998 in South Korea, when a severe outbreak of pulmonary TB occurred in a senior high school. This strain showed a highly virulent phenotype, with rapid multiplication during the early stage of infection in a murine model of TB with excessive lung inflammation, and infection with this strain resulted in more rapid death of mice than infection with the reference H37Rv strain. Therefore, good vaccine antigens should also display good vaccine efficacy against highly virulent Mtb strains. In this program, an array of patient-derived isolates will be studied in mice, and parallel evaluation of immune cell dynamics and cytokine profiles will inform about potential correlates of disease or protection. Seed lots of clinical isolates, 30 in total covering Beijing and non-Beijing genotypes, are being prepared for further analysis as stringent challenge strain in mice. We are happy to evaluate new adjuvants and antigens as a part of the development of TB vaccines in our animal models. We developed non-genetically mutated animal model forming necrotic granuloma for study of tuberculosis.